Biotech drug developer Xencor Inc. said Monday that it has licensed some of its technology that boosts the effectiveness of antibody treatments to a Johnson and Johnson company. Related Cos., the developer of the $2.7 billion Grand Avenue project, said Monday that the financial troubles of a Dubai investor will have no impact on the long-delayed venture. Guess Inc. reported slightly higher third quarter earnings and forecast a holiday shopping season that was better than Wall Street expected. Related Cos., the developer of the $2.7 billion Grand Avenue project, said that the financial troubles of a Dubai investor will have no impact on the long-delayed venture. The Nasdaq Stock Market warned First Regional Bancorp that it was in danger of being delisted because the price of its common stock had been below the market’s minimum bid price of $1 per share for 30 consecutive business days. Biotech drug developer Xencor Inc. said that it has licensed some of its technology that boosts the effectiveness of antibody treatments to a Johnson and Johnson company. Burtn Sperber is chairman and chief executive officer of ValleyCrest Landscape Cos.
Anne-Merelie Murrell has a simple explanation of why, at 81, she doesn’t want to retire. Charles Crumpley wants a cooling-off period for global climate-change laws that target industry. OP-ED: The growing use of software for smart phones offers L.A. the chance to take the lead in a new market. Rob Carpenter thinks L.A. should be the center of a growing economy built on smart phone apps. Do-it-yourself car owners are fueling sales for Carson-based U.S. Auto Parts Network. ADVERTISING & PR: PR agency creates documentary profiles to promote W Hollywood. To sell a project in Hollywood, you need a good trailer. HEALTH CARE: L.A. firms hope to keep costs down in 2010, according to survey. In a year when staff morale has been battered by layoffs and wage freezes, L.A.’s larger employers are thinking twice before jacking up the cost of employees’ health coverage. It only seems like Tommy Lasorda has been working all these decades for the city’s beloved Dodgers. But he hasn’t been working at all, as he sees it. Jonathan Firstenberg developed his love for music through his father, who had a unique way of channeling his passion: collecting music-themed stamps. Bert Fields is a partner at the law firm of Greenberg Glusker Fields Claman & Machtinger LLP. Gerald Phillips is a partner at the law firm of Phillips Lerner Lauzon Jamra LLP. Roger Williams is "Mr. Piano." June Wayne isn’t planning on shutting down her studio anytime soon. Developer Rick Caruso and celebs clash over closed Calabasas shop. Star developer Rick Caruso’s Calabasas mall is clashing in court with celeb shop owner Lisa Rinna. Key Information woos potential clients with rides on zeppelin. A local IT firm hopes to get a lift by offering potential clients rides on a zeppelin. Mexico’s UNAM opens downtown location to reach former students. A Mexican university is helping former students make the grade in Los Angeles. Although Najeeb Ghauri became a U.S. citizen nearly 20 years ago, he still feels he represents his home country of Pakistan, especially when he’s in the public eye – which he was earlier this month when he rang the opening bell at Nasdaq. City National’s eco-friendly portfolio proves profitable. City National’s eco-conscious Green Portfolio has taken root in the banking business. Theodore E. Guth urges business owners to take early advantage of legal guidance. YouBet investors claim Churchill Downs’ offer undervalues firm. Some YouBet.com shareholders are refusing to saddle up with racetrack operator Churchill Downs. David Freeman is interim general manager at the Los Angeles Department of Water & Power, and Los Angeles Deputy Mayor for Energy and Environment. Luxury houses and foreclosed properties deliver sales. L.A.-area brokers homed in on success in different ways during the deepest part of the recession. INNOVATION: ASR scientists can model the environmental effects of dredging a harbor and are now using their expertise to build artificial reefs for surfers. Environmental adviser Amalgamate Solutions and Research isn’t coasting on its reef-building business. CHIEF DWELLINGS: Lions Gate music exec’s home reduced from $7.5 million to $4.7 million. Listings and sales of elite L.A. executive homes. Vendors on Web marketplaces seen as Stamps clients. Stamps.com hopes to become the alpha mail of personal postal services. Pentadyne Power Corp. has completed a technology license and transfer agreement with U.K.-based TGT Energy Ltd.
MANUFACTURING: Hi-Shear expects British parent to grow operations and staff. Aerospace parts manufacturer Hi-Shear Technology Corp. is here to stay in Torrance and is even hiring despite its recent acquisition by a British defense contractor. INTERVIEW: Bill Gross got his first taste of business when he was 15 and has since launched multiple companies, including startups under his Idealab incubator. Serial entrepreneur Bill Gross got the bright idea for Idealab when he was but a lad. SPORTS BUSINESS: Race will run from Santa Monica to Culver City and back. What happens when you can’t get into one of the nation’s biggest running markets through the front door? Try the back, of course. Tables turned on savvy billionaire? Billionaire Ed Roski Jr. is in the unusual position of playing defense in his legal fight with La Mirada. Attorney leads way for firms to go public in U.S.
A Westwood firm has carved out a niche helping Chinese businesses go public in the United States. L.A. County’s unemployment rate jumped in October to another record high of 12.8 percent, with the county’s manufacturing, construction and hospitality sectors the hardest hit. Tutor Perini Corp. said late Tuesday that its board has extended through March 31 the company’s program to repurchase up to $100 million of its common stock. Warner Music Group Corp. on Tuesday reported a loss in its fiscal fourth quarter largely because of big severance costs. Shares plummeted in early trading. CIM said it plans to make the assets the centerpiece of a new solar energy company called SkyPower Limited. Kerry Adler has been appointed SkyPower’s chief executive to oversee development and management of both utility-scale and micro-generation power programs. REAL ESTATE: EOP’s office deal may set bottom price for Westside market. Landlord Equity Office Properties made waves in 2007 in the commercial real estate community when it priced its Westside office buildings at the very top of the market. West L.A. law firm Russ August & Kabat has named Alexander Giza as a partner in the intellectual property and litigation practice groups. MARKETING: PlayNetwork adds video to in-store audio with Channel M pickup. In-store audio firm PlayNetwork liked what it saw in video content producer Channel M.
OP-ED: The low-paid workers who tend L.A.’s yards deserve more credit for helping out the environment. Alvaro Huerta believes that Mexican gardeners aren’t receiving enough praise for the ecological benefits of their work. PROFILE: Original Wine of the Month Club looks to expands its mail-order service as new rivals enter the business. Competition: The Original Wine of the Month Club is relying on vintage appeal to fend off new competitors. New York-based Forbes Media LLC has acquired Santa Monica’s FlipGloss Media and its Digital Glossy Insert photo publishing platform. TECHNOLOGY: Calacanis group aims to challenge ‘pay-to-play’ counterparts. Local Internet entrepreneur Jason Calacanis has launched an angel investment group that he claims will put a rival organization out of business. RETAIL: Online vendors expect spikes in business before and after date. A local vendor suspects stories of increased online shopping on Cyber Monday may be a Web of lies. LAW: Crowell brings in five attorneys including two partners. Crowell & Moring LLP has added five attorneys to its downtown L.A. office, the firm’s latest step in building a presence in the L.A. market. BANKING & FINANCE: Agency claims Culver City man misused $4.5 million from elderly. A U.S. District Court judge last week froze the assets of a small Culver City investment adviser after allegations that the firm deliberately misled investors and secretly funneled proceeds to risky ventures. Charles Crumpley sees moves to improve LAUSD schools as a boon to the local business community. P. Jacob Yadegar writes that a lot of the federal stimulus programs are just delaying us from making tough decisions. Carl Lambert warns that those looking to overturn provisions of Proposition 13 don’t understand the impact of such action. APPAREL: Lower prices a better fit for slim wallets. Cost-conscious consumers force high-end denim jeans to take a seat. The boom in 3-D film making has filled out the schedules at Hollywood production houses. BANKS: Rivals battle for Chinese-American market. East West and Cathay have capital ideas on how to score Chinese-American customers. TECH: L.A. firm’s chip heats up cool industry. A local firm’s temperature-determining microchip is changing the microwave business by degrees. The recently released movie “Pirate Radio” created some mixed emotions for Jim Goyjer. Insurer claims security firm failed to protect sculpture at LACMA. The insurer of a sculpture displayed at LACMA says security guards were asleep on the job. Guitar Center lets workers return to jobs after music gigs. Guitar Center has cued up a program that lets workers return to their jobs after getting gigs. Nate ’n Al founder’s grandsons open branch in Thousand Oaks. Hollywood landmark deli Nate ’n Al is serving up a second location in Thousand Oaks. A federal judge denied MGA Entertainment Inc.’s request to allow retailers to continue selling Bratz dolls after the end of this year’s holiday season. INVESTMENT: Ron Burkle ups Barnes & Noble stake; retailer drafts poison pill. L.A. billionaire Ron Burkle may have booked Barnes & Noble for acquisition. TRADE & TRANSPORT: Operators are making switch despite cost and reliability issues. As truckers increasingly invest in alternative-fuel vehicles, Los Angeles County has become the hottest market for heavy-duty liquefied natural gas, or LNG, trucks in the country. MEDIA: DirecTV leaves Liberty umbrella and melds with content companies. John Malone is dishing out big plans for satellite television provider DirecTV. INTERVIEW: Edison International’s Ted Craver Jr. has a history of performing under pressure, whether in Hong Kong, handling deregulation or running marathons. Edison International Chief Ted Craver Jr. has a history of stepping into high-pressure situations. L.A. County’s unemployment rate jumped in October to another record high of 12.8 percent as the county’s manufacturing, construction and hospitality sector took a hit. Aerospace company Hi-Shear Technology Corp. said Friday that its shareholders had approved its acquisition by a British company in a deal valued at $132 million. Under pressure from regulators to raise capital, Hanmi Financial Corp. filed a shelf registration late Thursday to raise up to $200 million. Shareholders on Thursday approved the combination of DirecTV Group Inc. with other Liberty Media Corp. entertainment businesses as part of a new company called DirecTV. The University of California Board of Regents on Thursday unanimous approved a plan to work with Los Angeles County to reopen troubled Martin Luther King Jr. Hospital. Zenith National Insurance Corp. said late Wednesday that a subsidiary has asked the California Department of Insurance to approve a 2.7 percent increase in its workers’ compensation base rates. TriLinc Global LLC said Wednesday that it acquired the assets of MF Analytics Ltd., which provides financial software and services for the burgeoning worldwide microfinance industry. Semtech Corp., a Camarillo-based chip maker, said Wednesday it would acquire privately held Sierra Monolithics Inc. for $180 million in cash. DirecTV Group Inc., which may be spun off this week from Liberty Media Corp., said Wednesday that Pepsico International Chief Executive Michael White will become its CEO on Jan. 1. A federal judge has denied MGA Entertainment Inc.’s request to allow retailers to continue selling Bratz dolls after the end of this year’s holiday season. Active Storage, a Torrance developer of media and entertainment industry storage products, said it completed an $8 million Series A funding round, lead by Intel Capital. Eight decades after pioneering the concept of broadcasting, NBC is on the verge of a startling move that illustrates broadcast television's decline. Comcast Corp. has courted NBC Universal for months, but the companies would need to take a long detour to Washington before they make it to the altar. Industrial Realty Group, a Los Angeles company that specializes in redeveloping corporate real estate has bought Intel Corp.'s now-closed Colorado Springs computer-chip manufacturing plant. General Environmental Management Inc. said it completed its acquisition of Santa Clara Waste Water, a wastewater treatment business in Ventura County. DTS Inc. said that its board approved a plan to repurchase up to one million shares of the sound technology company's common stock in the open market or privately negotiated transactions. Ending weeks of speculation, Century City movie studio Metro-Goldwyn-Mayer Inc., owner of such titles as the James Bond movie franchise, said it is evaluating options including a sale of the company. Montage Beverly Hills, the first new hotel to be built in the city in more than 17 years, was recently awarded the Forbes Five Star Award, at a ceremony at the Forbes Gallery in New York. Mobile Messenger said it acquired its mobile messaging aggregator, m-Qube Inc., from VeriSign Inc. for an undisclosed amount. Kilroy Realty Corp. said that its operating partnership will offer $150 million in senior debt in a private placement to institutional buyers. Los Angeles billionaire investor Ronald Burkle's investment firm has bought more than 4 million shares of Barnes & Noble Inc., doubling its stake in the New York bookseller to nearly 7 percent. Skechers creates sporty apparel pitched at health care workers. Shoemaker Skechers is stepping out with a new medical apparel line. Blair H. Taylor calls on California to boost funding for the 2010 census. Special Report: FASTEST GROWING PRIVATE COS.
Up-front car information drives online retail site. Microchips play big role in L.A.'s fastest growing firm. Manufacturing: New names may pursue contract. The collapse of a deal with an Italian firm has put a rail car contract and a green tech corridor on different tracks. Government: Companies set to exit city of L.A. over higher bracket. A dispute over tax rates has online retailer Shopzilla and some other Internet companies ready to pull the plug on their city of L.A. headquarters. Online betting service YouBet.com Inc. has agreed to be acquired by Churchill Downs Inc. in a stock-and-cash deal valued at nearly $127 million. OP-ED: Congress should be looking at easy ways to reduce health care costs as opposed to offering a public option. There are other ways to reduce insurance costs than a public option, according to Maria de Jesus Rosas, Manuel Cons and Jorge C. Corralejo. Charles Crumpley muses about Donald T. Sterling’s settlement and Malibu’s sewers. CHIEF DWELLINGS: San Fran-bound lawyer reduces Los Feliz house by $700,000. Dr. Brian Boxer Wachler has two lives. The first is as a serious eye surgeon. The second is as a rap artist and star of his own music video. To keep up with growth, Chief Executive Saskia Strick will move her company from Santa Monica to Van Nuys next month. MANUFACTURING: TIG/m hopes to ride wave of cities’ interest in streetcars. A San Fernando Valley manufacturer of hybrid and electric trolleys is gearing up for the vehicle’s anticipated comeback. SPORTS BUSINESS: Marketing department’s pimped-out vehicle wins trophy. REGULATION WATCH: New alliance claims state plan would ‘devastate’ business. Industry and business groups are alarmed by the sweeping scope of a state proposal to regulate potentially harmful chemicals in consumer products. Chief Executive Adam Miller has positioned his company to benefit from globalization by opening offices in Europe, Israel and India. REAL ESTATE: Ezri Namvar property in West L.A. could fetch $100 million. Wilshire Bundy Plaza, an office building that is one of the crown jewels of bankrupt businessman Ezri Namvar’s portfolio, has been listed for sale. With gold trading at an all-time high, Chief Executive Mark Albarian sees more investors putting precious metals in their portfolios. Alfred Mann earmarks $300 million to fund his other firms. Billionaire Al Mann thinks he has a sound plan for millions of dollars raised in the sale of a hearing implant business. AUTOMOTIVE: Tesla’s electric car plant ready to park in local movie studio, city official says. Downey officials are charged up about the real possibility of landing Tesla’s electric car plant. Chief Executive Haris Tajyar said he is on the lookout for both hot and overhyped companies. Every month, companies need to reconcile their accounting ledgers. That’s where BlackLine can help, says Chief Executive Therese Tucker. DEVELOPMENT: But some firms favor pricey cleanup. A few in Malibu’s business community are embracing a switch from septic tanks to a sanitary sewer system – despite the very high costs. Chief Executive Jose Villa believes that traditional and new media will merge, so his digital agency is moving into TV, radio, print and other forms of advertising. Making the Web work for local retailers has given global ambitions to Chief Executive Zorik Gordon. Sales are swell for husband-wife team’s balloon business. Business is blowing up for a husband-and-wife team that makes balloon bouquets. BentleyForbes, a Century City-based real estate services firm, has named James M. Kasim president and chief operating officer. INTERVIEW: Aurora Capital Chairman Gerald Parsky’s ties to the GOP run deep, serving in Republican presidential administrations and as an adviser to Gov. Arnold Schwarzenegger. Aurora Capital chairman Gerald Parsky’s Republican Party bona fides include friendships with both Bush presidents. PROFILE: Branded Research took its apps from social networking sites to smart phones to generate more revenue. Shifting Gears: App maker Branded Research has branched out from online social networks to smart phones. Vivid Entertainment Group, a maker of adult entertainment products, has ended its European distribution agreement with Vivid Europe Gmbh. ADVERTISING & PR: Striker expands with Mendocino County, Huntingon Beach. Striker Media Group has signed two new clients who are benefiting from the “stay-cation” trend. HEALTH CARE & BIOTECH: D.I.S.C. teams with USOC to treat U.S. team’s athletes. U.S. Olympic athletes are pretty much on their own when it comes to obtaining health care once the applause stops. Auctioneer says a handout unlikely for Michael Jackson glove. Local man is grateful to have a hand in the auctioning of Michael Jackson’s rhinestone-studded glove. Mattel sees donation to Otis College as sowing field of future workers. Mattel has donated $1.85 million to Otis College with an eye toward cultivating future employees. Real estate investment and management firm Kennedy-Wilson Inc. said late Friday that it competed its merger with special purpose acquisition company Prospect Acquisition Corp. following approval by Prospect's stockholders. Doug Ring, a well-known Los Angeles attorney and developer of several properties in Marina del Rey, has been found dead in his Brentwood home after an apparent overdose of pain pills, according to police and media reports. At the end of the traditional holiday shipping season, Port of Long Beach reported a decrease of 24 percent in the number of cargo containers shipped in October compared with the same month a year ago, according to figures released Friday. Image Entertainment Inc. warned that it may default on a payment due in a couple of days, but it said it is working with a creditor to alter terms. It also reported a larger second quarter loss due largely to a weak video release schedule. Cherokee Inc. said late Thursday that it has entered into an exclusive international license agreement for its Cherokee apparel brand with RT Mart Stores, a fast growing retailer in China. Online betting service Youbet.com Inc. said late Wednesday that it has agreed to be acquired by Churchill Downs Inc. in a stock-and-cash deal valued at nearly $127 million. Occidental Petroleum Corp said Tuesday that it had formed a partnership with entities in Bahrain and United Arab Emirates to run a Bahrain oil and natural gas field. American Apparel Inc. said Tuesday that its third quarter net income grew 78 percent due to lower expenses and a shift toward sales of higher-margin retail merchandise. The results beat Wall Street expectations. Skechers USA Inc. said Tuesday it plans to extend its trendy appeal in the sneaker market to medical apparel, launching a branded line of scrubs and related work clothing for nurses and other health care professionals. Lions Gate Entertainment Corp said that it moved to a profit in its fiscal second quarter due to a gain at its television operations and lower film production costs. Billionaire Al Mann has agreed to sell his Valencia medical device maker, Advanced Bionics Corp., to a large Swiss hearing aid firm for $489 million in cash. State Insurance Commissioner Steve Poizner has rejected an industry board’s recommendation to sharply increase workers’ compensation rates, citing the weak economy and high unemployment. Ducommun Inc. said that its board named Anthony J. Reardon chief executive effective Jan. 1. Northrop Grumman has agreed to sell its TASC government-consulting unit for $1.65 billion to an investor group led by General Atlantic and affiliates of Kohlberg Kravis Roberts. The heads of Los Angeles World Airports and the Port of Los Angeles that they are upset with a labor pact recently struck between the City Council and the Coalition of LA City Unions that's supposed to save about $58 million. TRADE & TRANSPORT: Tezo channels content and advertising for Metro passengers. A Sun Valley company has started producing video programming – including news reports and trivia games – for a very specific audience: bus riders. GOVERNMENT: Taxes and permitting process singled out as major problems. A survey finds the city of Los Angeles can’t shake its reputation for being business unfriendly. BANKING & FINANCE: FirstFed ready to liquidate if it can’t raise capital. Already on life support due to substantial loan losses, FirstFed Financial Corp. has submitted to regulators a plan to liquidate itself if it cannot raise capital immediately. LAW: Century City’s Levene Neale and Robinson Diamant combine forces. After only a few weeks of courtship, two Century City boutique bankruptcy firms celebrated their marriage last week when Levene Neale Bender Rankin & Brill LLP announced its merger with Robinson Diamant & Wolkowitz APC. A Superior Court commissioner ruled that Jamie McCourt should not be reinstated as chief executive of the Los Angeles Dodgers baseball team. A star-studded crowd gathered at the Beverly Hills Hotel recently for the annual Courage in Journalism awards hosted by the International Women’s Media Foundation. ENTERTAINMENT: But will Activision’s game hit lofty targets? Family’s bakery shop inspires designer’s new clothing line. Patrick DiLascia cooked up a clothing line based on uniforms at his family’s bakery. Culver City’s Zadspace applies clients’ ads to shipping packages. Zadspace thought outside the box for its ad stickers that go on shipping packages. Dodger Stadium is in sore need of some public transportation assistance, according to Ted Lux. OP-ED: Megacorporations ravage the U.S. economy while small businesses suffer the wrath of regulators. Harold Katz feels small businesses face too many rules whilemegacorporations are running wild. NIGHT LIFE: Hot spots try to lure hipsters from Hollywood. Sunset Strip nightspots hope to reclaim the spotlight from Hollywood’s booming scene. REAL ESTATE: Foreclosure leads to ‘above-average’ deal with Inland Bank. Ninety-nine condos in Van Nuys have been sold to a Brentwood-based real estate investor in yet another example of a bank moving a foreclosed asset off its books. Aspyra Inc., a Westlake Village health care information technology provider, has announced that it will delist its common stock from the New York Stock Exchange AMEX. FINANCING: Bankrupt CIT says not to panic, but customers weigh options. The struggles of a New York lender are being felt by local small businesses. BIOTECH: Aranesp generates poor test results and a federal lawsuit. Investors shrugged off news of lawsuits and safety issues involving an Amgen anti-anemia drug. U.S. Bank followed its “California initiative” to an increased market presence in Los Angeles. PROFILE: Kristofer Keith’s Spacecraft has become a hot name in restaurant design by avoiding a signature style. GROWTH: Restaurant and design firm Spacecraft has invaded Hollywood in a big way. INTERVIEW: John Finton turned to the construction business to make money part time and now builds mansions in L.A. and worldwide. John Finton is right at home building luxurious mansions for the wealthy. Deloitte Financial Advisory Services has named Nicholas Armstrong a director in its downtown L.A. office. TRANSIT: East L.A. merchants and developers hope to catch a lift with new light-rail extension. Hopeful East L.A. merchants and developers see Gold in the opening of a light-rail extension. Sales volume slipped in October, and analysts worry that federal stimulus money has propped up the market. Events of interest to Los Angeles business community. INVESTMENT: Businessman personally owes $321 million. Bankrupt Brentwood businessman Ezri Namvar personally owes at least $321 million to creditors. Small businesses on Main Street have been left out of Wall Street’s big company party, writes Charles Crumpley. TECHNOLOGY: Oversee.net fires worker who drove up prices during auctions. When Oversee.net, a downtown L.A.-based Internet company that buys and sells Internet domain names, bought domain auction site SnapNames.com Inc. in 2007, it seemed like a savvy move. KIIS-FM (102.7) on Wednesday reclaimed its crown as L.A.’s top-rated radio station, while former No. 1 station KFI-AM (640) took a tumble. Health Net Inc. reported a third quarter loss Tuesday as it took charges related to the withdrawal from the northeastern U.S. market. Even so, shares rose since adjusted results exceeded Wall Street expectations. Big 5 Sporting Goods Corp. said tighter cost controls and improved customer traffic contributed to third quarter earnings that topped analysts’ expectations. One-third of L.A. County businesses anticipate cutting their payrolls next year, more than double the 14 percent rate for the current year, according to a new business survey. PS Business Parks Inc. reported an 11 percent increase in third quarter net income, but shares fell Tuesday because the company’s funds from operations were slightly below expectations. Thomas Properties Group Inc. announced plans for a stock offering that would nearly double the number of its shares outstanding. The real estate investment trust also reported a wider third quarter loss. Herbalife Ltd. reported a slight increase in third quarter net income despite a small drop in sales and unfavorable currency fluctuations. The results still exceeded analyst forecasts. Maguire Properties Inc. said its third quarter loss narrowed, as the office building owner reported slightly higher revenue and fewer charges despite the continued depressed commercial real estate market. "The Princess and the Frog," Walt Disney Co.'s first hand-animated feature film in nearly six years, is a gamble by the studio that audiences will respond to the traditional medium of Mickey Mouse in an era when animation is dominated by slick computer-generated fare. West Hollywood -- where more than a third of the population identify themselves as gay, lesbian, bisexual or transgender -- is well-known to locals but not a major national or international destination. The city wants to change that. WPT Enterprises Inc. said a majority of its shareholders approved the sale of its World Poker Tour assets to a British company, ignoring a last-minute offer from a Los Angeles media company. Thanks to a decline in expenses, Mercury General Corp. reported third quarter net income that beat Wall Street expectations. Aircraft parts maker Ducommun Inc. said a 10 percent increase in sales boosted its third quarter profit above analyst estimates. OP-ED: L.A.’s cultural preservation process must balance a respect for the past with the city’s need for growth. Kevin Ratner believes historical preservation isn’t bad for business. Outreach efforts to African-Americans will benefit the hospitality industry, writes Bruce Gorelick. OP-ED: Forget the ‘Subway to the Sea,’ the underground tunnel would be better used for an eight-lane freeway. Carl Olson wants to ditch the “subway to the sea” for an underground freeway. Management guru Peter Drucker is not exactly like Michael Jackson, but his influence and popularity are growing after his death, Charles Crumpley writes. CHIEF DWELLING: Jeff Greene puts 11-bedroom home up for rent for $250,000 a month. REAL ESTATE: Apartment project bought for $28.1 million in an unusual deal. The Hampton at South Bay, a 152-unit Torrance apartment project, has been sold for $28.1 million in a rare real estate deal. 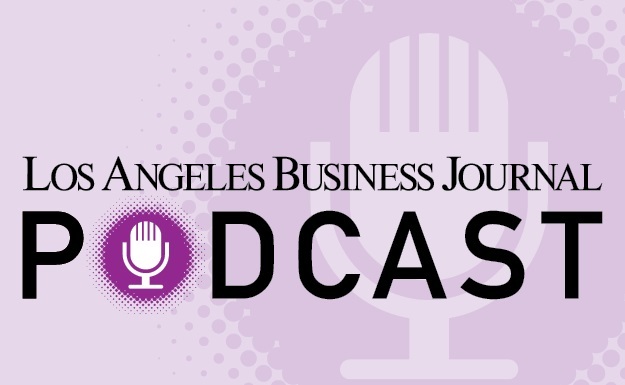 Events of interest to L.A.'s business community. INTERVIEW: Ira A. Jackson, dean of the Drucker business school at Claremont Graduate University, served as an aide to the mayors of Newark, N.J., and Boston. Drucker business school Dean Ira A. Jackson traded a life in politics for one in academia. PROFILE: Burbank non-profit offers ‘general assignment’ service as a quicker, cheaper option to bankruptcy proceedings. NICHE: Burbank’s Credit Management Association assists insolvent companies seeking to avoid bankruptcy court. Kurtzman Carson Consultants LLC, an El Segundo consultancy for businesses undergoing corporate restructuring, has expanded into public securities services. ADVERTISING & PR: Singer joins stable of athlete clients at Sports Placement Service. For 23 years, Harlan Werner has been the marketing agent for sports icons including Sandy Koufax, Joe Namath, Muhammad Ali and Mike Tyson. HEALTH & BIOTECH: Long Beach-based Molina’s profits hit by spike in treatment. Just one month into the swine flu outbreak and Long Beach managed care provider Molina Healthcare Inc. is feeling the pain. SPORTS BUSINESS: Event officials say return visit has boosted interest. The Breeders’ Cup returns to Santa Anita Park for the second consecutive year Friday and Saturday, with a total purse of $25.5 million. REGULATION WATCH: Waste hauler blames state for having to lay off six workers. The owner of a Montebello waste hauler calls a state fine for diesel emission violations “extortion” and said the order to pay $250,000 has forced him to lay off six of his 40 employees. MANUFACTURING: San Fernando’s Caluco navigates recession with lower-priced products. San Fernando outdoor furniture manufacturer Caluco isn’t exactly sunbathing in today’s economic climate as much as trying to avoid being burned by the real estate bust. INTERNET: Ixia pays $44 million to acquire N2X Data Networks. Calabasas tech company Ixia has expanded with a $44 million acquisition of N2X Data Networks. REAL ESTATE: Homebuilder hopes solar panels power sales in Santa Fe Springs. Developer Comstock Homes hopes buyers take a shine to solar-powered houses in Santa Fe Springs. Biotech entrepreneur Patrick Soon-Shiong has pledged $100 million to reopen MLK hospital. Sitrick and Co., an L.A. public relations firm known for its celebrated and controversial clientele, is expected to be acquired next month by consulting firm Resources Connection Inc. PAGE 3: Kalief Rollins usually shows off his company’s T-shirts to his neighbors in Carson or to his classmates at El Camino College and at his alma mater Downey High School. Azusa pet products maker now 100 percent solar powered. An Azusa maker of pet products has flipped the switch on solar power. E.S. Kluft’s high-end mattresses include a $33,275 model. The thought of E.S. Kluft’s $33,275 mattress could cause some people to lose sleep. Pacific Palisades pair launch lifestyle Web site for mothers. A pair of Pacific Palisades women have launched a lifestyle Web site for the mommy set. INTERNET: L.A. CEO rips investors’ pay-to-pitch fees. An L.A. tech community leader has launched a crusade to end angel investor groups’ pay-to-pitch fees. SPORTS: Did economy or divorce throw the curve? Improvements to Dodger Stadium are delayed again. Some cite the McCourts’ divorce. BANKING: Lenders take action over missed payments. Some L.A.-area banks are lowering the boom on celebrities with delinquent loans. Movie chains look to pump attendance with high-end features such as fine dining and concierges.